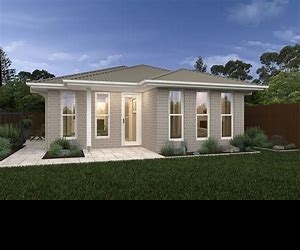 Rentmaster Pty Ltd is a private company incorporated in the state of Queensland Australia. Real Renta is an internet based site focused on developing tools and providing support services in the field of real estate rental management and related services (online property management solutions). In general, you can visit Real Renta website without revealing any personal information about yourself. However there are times when information will be collected, such as when you use our contact form, for billing purposes, appraisals or in connection with community postings such as message boards or feedback to us or to receive information from us. This information may include your name, home or business address and e-mail address. Personal information will only be collected when knowingly and voluntarily submitted. Real Renta does not sell or rent personal information regarding our clients and their customers to any third party. The provision of your personal and or organization information regarding yourself and including any information on your clients and or customers will only be used for the purpose of providing to you and administering our products and services. Real Renta will seek your permission to send you further communications at the time you provide us with your personal information. If at any time after submitting your personal information to Real Renta you would no longer like to receive information from us, simply follow the 'unsubscribe' directions at the end of any e-mail communications you receive. No attempt will be made to identify users or their browsing activities except in the unlikely event of an investigation, where a law enforcement agency may exercise a warrant to inspect server logs. The statistics and log files may be preserved indefinitely and used at any time and in any way necessary to prevent security breaches and to ensure the integrity of the information supplied by Real Renta. When Real Renta receives information about your session or about you, we may also use it for research or to improve our site and the services we offer you. Some Real Renta web pages use "cookies". Cookies can make your subsequent visits to the web page simpler and more seamless. You can set your browser to notify you when you receive a cookie, giving you the chance to decide whether or not to accept it. (However, by not accepting cookies, some web pages may not display properly or you may not be permitted to access certain information.). A server cannot find out a name or e-mail address, or anything about a user's computer, by using cookies. Cookie information is not stored or collected by Real Renta. Once Real Renta receives information from you via e-mail or any other means, the information is in a secure environment. Your personal information will not be released unless Real Renta believes in good faith that the law requires it or your permission is granted. Real Renta strives to ensure the security, integrity and privacy of personal information submitted to our sites, and periodically updates its security measures in light of current technologies. You need to be aware of inherent risks associated with the transmission of information via the Internet. Real Renta cannot guarantee or warrant the security of any personal information you submit to our sites. If you have concerns in this regard, Real Renta has other ways of obtaining and providing information. Normal mail, telephone and fax facilities are available. Real Renta Websites may contain advertisements and links to other websites operated by third parties. These links are meant for your convenience only. We are not responsible for the privacy policies o these third party materials. Visitors to those sites should refer to their separate privacy policies and practices before disclosi ng personal information.